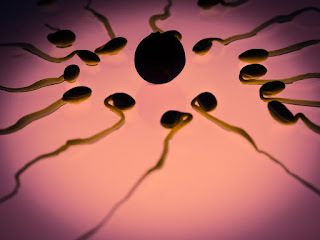 In this article, pharmacist Marla Ahlgrimm explains the connection between progesterone and female fertility. Progesterone is a naturally-produced chemical that helps a woman’s body ready itself for pregnancy, according to women’s healthcare expert and pharmacist Marla Ahlgrimm. It’s a vital steroid hormone, both before and during gestation. Prior to implantation, the uterus must undergo certain changes in order to sustain a viable pregnancy. This, reports Marla Ahlgrimm, is accomplished by the ovaries releasing progesterone which thickens the uterine lining. According to Marla Ahlgrimm, progesterone works to keep the developing fetus healthy during pregnancy. Early on, the ovaries are the sole producer of progesterone. Near the end of the first trimester, the growing placenta takes over progesterone production, substantially increasing the body’s level of the hormone. Progesterone is also responsible for preventing further ovulation from conception until birth. Around the end of the third trimester, progesterone aids in lactation by preparing the breast for milk production. Marla Ahlgrimm reports that progesterone’s final duty during pregnancy is to strengthen pelvic muscles for successful labor. Some women experience reproductive issues as a result of their body’s low supply of progesterone. These women, according to Marla Ahlgrimm, may be candidates for progesterone therapy. Progesterone is available via a number of delivery methods including vaginal gel, suppositories, and tablets. Oral capsules and injections may also be recommended by the woman’s doctor. Ahlgrimm acknowledges that a woman’s choice to utilize progesterone supplementation is an intimate and personal decision. Each progesterone delivery method has pros and cons that must be weighed against a woman’s personal preference, lifestyle, and commitment to the process. Infertility is a condition that affects thousands of women each year. Additional information regarding both male and female infertility and assisted reproductive technology may be found on the CDC’s website at cdc.gov.